﻿ Follow our step by step Greek Bougatsa recipe and recreate this traditional sweet delight from scratch! Enjoy while still warm with a last minute sprinkle of icing sugar and cinammon. 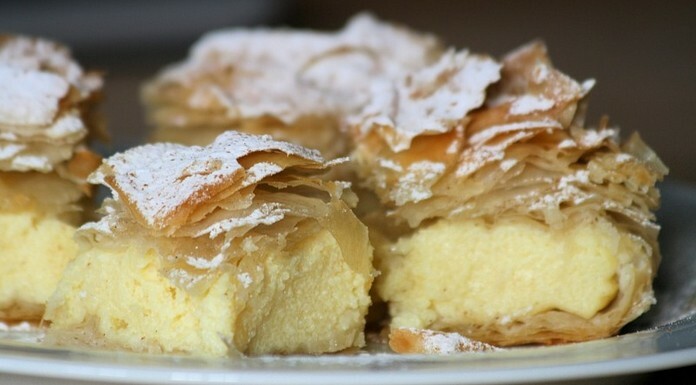 The key to make the most flavourful Greek Bougatsa is to use a good quality fresh butter to butter the phyllo sheets. 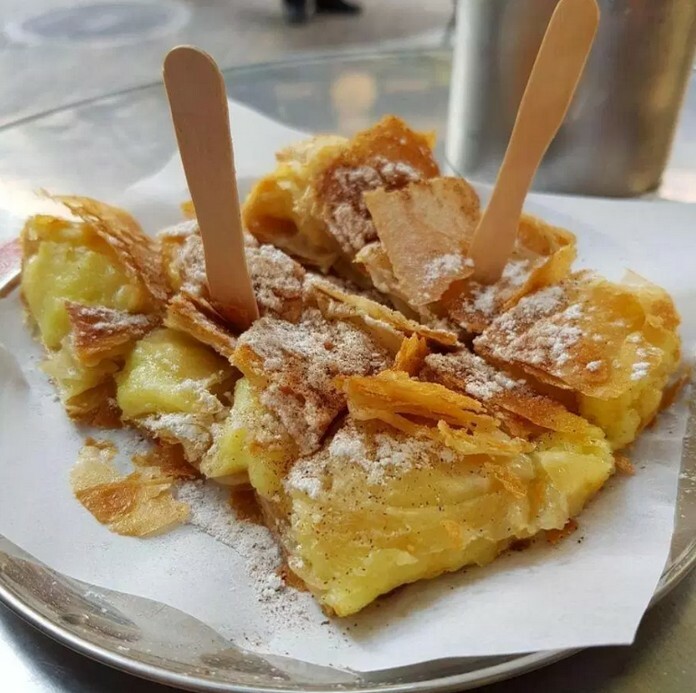 The authentic Greek Bougatsa recipe calls for ‘galaktos’ butter made from cow’s milk, which gives a very rich flavour and amazing smell!